To help with this, I’ve been using OvuSense since September 2014. I have been asked by so many people to write an update and so here it is! It’s always nice to see how people are getting on isn’t it? I had one lady email me the other day to tell me that from reading my first review she bought the OvuSense monitor and after a few months is now pregnant after trying for so long! I am so happy to hear that! I’d love to hear back from anyone who is trying! I nearly fainted when I saw it as I’ve been using the monitor for months and it had never once told me I was ovulating! I was losing hope and thought I’d never ovulate until I finished breastfeeding. But I was so so so happy to see that the machine works AND that I am ovulating, even though it isn’t every month or regularly, at least I know my body is starting to get back to normal and that I can start trying for a baby whenever I do ovulate! Do you see how easy the charts are to understand from the photo above? Day 0 is the day you finish your period and it goes up to 40 days, of course if you ovulate before then you can just stop using OvuSense for that month. But it goes up to 40 days for people with very long cycles. Then the blue line in the middle is your temperature. Can you see the peak between day 7-10? That’s when I ovulated. It was a nice high peak too which meant it was strong. Now, I was worried that I would get bored of using it, but I don’t! I check to see if I’ve ovulated every morning with eagerness! I don’t get bored of washing it either, it’s so easy to clean just with soap and water. I haven’t had any problems with it. I really don’t know what I would have done if I hadn’t had this opportunity to test out the OvuSense monitor. No ovulation test kits would work on me because I have no idea when to test as I don’t have periods yet. 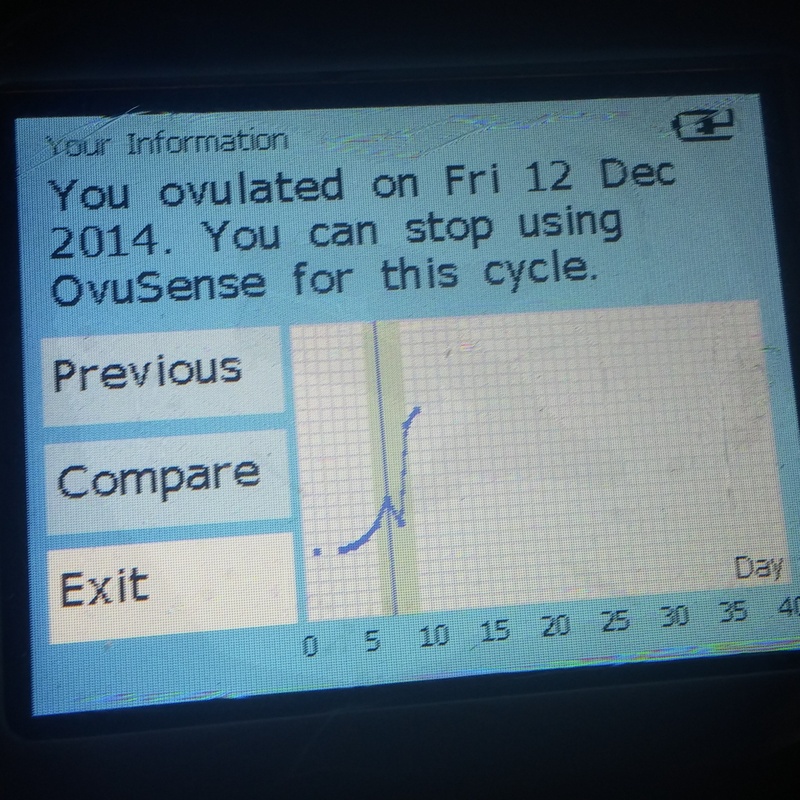 And even if I did- I would have no idea how to calculate my own ovulation date. I would recommend to anyone wanting to try for a baby to get this monitor- and no, I’m not getting paid to tell you this! It makes your life so much easier and you can pin point when exactly to try for a baby and the monitor will predict your ovulation date every month. I honestly wish I’d bought this monitor when I was trying for my first baby instead of peeing on all those sticks! What a waste of time and money! 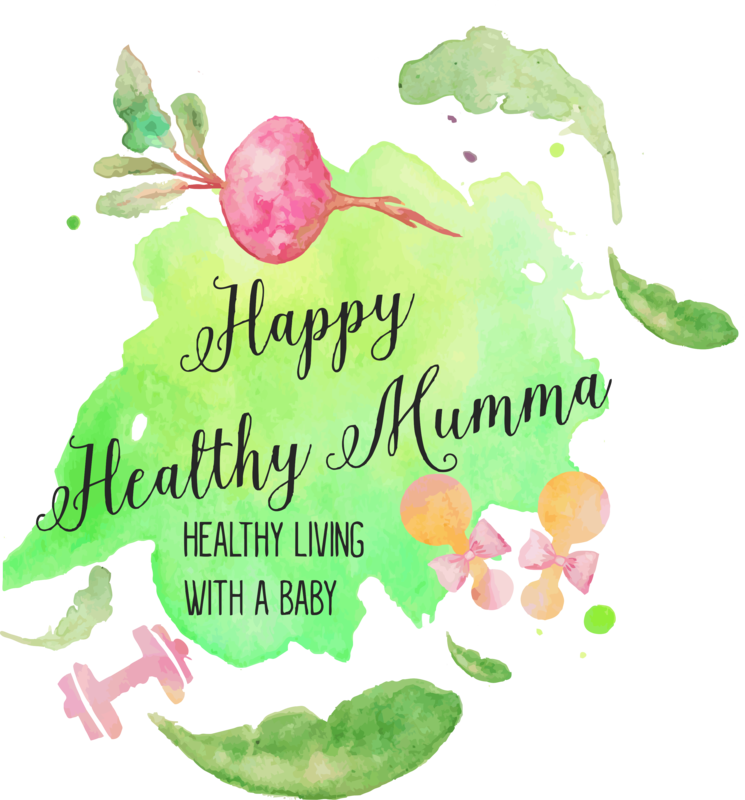 It’s great for those with PCOS and people like me, who have erratic periods or still haven’t got their period back after pregnancy but want to know when to try and conceive. But it’s also great for anyone wanting to pinpoint their ovulation date quickly, easily and most importantly with accuracy! I really can’t recommend it highly enough. Now I’m ovulating it’s only a matter of time until we get lucky (hopefully no hormones needed this time!) I hope to write another update soon telling you that I’m pregnant again! We so desperately want a sibling for Thomas! Has anyone else tried OvuSense? What are your thoughts? 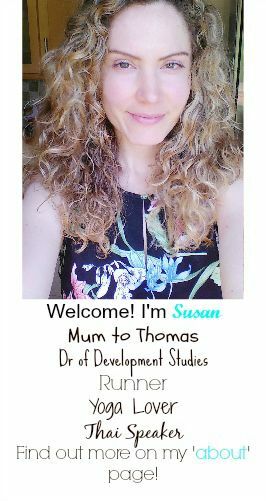 4 Responses to "OvuSense Fertility Monitor Review Update!" I was just able to use my Ovusense for the first time 2 nights ago. I love it, it’s so simple to use. I’ve been ttc #1 for a little over 9 years. With no luck, no positive test ever, no pregnancy ever, it’s been a rough journey. I have hope and faith that with the help of Ovusense it will happen in no time!